The manufacturer Quadritalia, which is well-known in Italy, has been relying on locking solutions for its switch cabinets and housings by EMKA for 20 years now. The company from Vincenza continues to further develop its product range of cabinets, metal boxes and housings and requires a reliable partner for the increased requirements of its customers in the fields security, tightness and functionality. 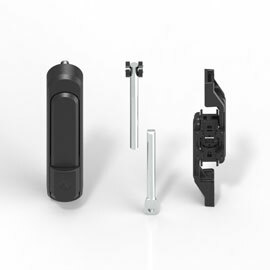 Currently, both companies are working on a new system for hinges. Quadritalia was founded in 1988 and since then has been making, among other things, cabinet and housing solutions for industrial automation and power distribution. In its home country Italy, in particular, the company has made its mark due to its quality and scope of its product range. In the meantime, Quadritalia can also present strong sales volumes on the German-speaking market. The product range of Quadritalia is versatile; the focus, however, is on switch cabinets, monoblock housings, metal boxes and consoles. This flexibility is especially required for time-critical projects, this is why Quadritalia works directly together with Alessandro Donelasci, Managing Director of EMKA Italia, and coordinates the respective projects. 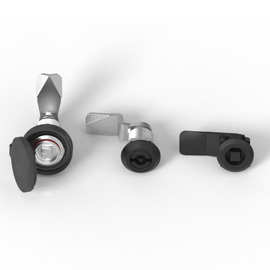 This includes, besides the EMKA locking systems (swinghandle, electronic locking systems etc. 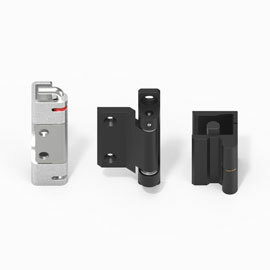 ), the development of internal accessories such as hinges and flat rods. In this context, EMKA has to react to new ideas or requirements coming from Quadritalia by providing corresponding new drafts within a few weeks. For example, Quadritalia could modernise and exchange the locking solutions or systems of all switch cabinet series in 2017 in less than three months. Flavio Sanson, CEO of Quadritalia, explains: “When ideas become projects, these have to be implemented as quickly as possible. From prototyping to the development, we often have less than six months time. 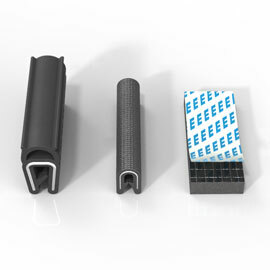 With EMKA, we have found a partner that can react quickly to our new developments with their own new solutions for locks and hinges.